Think you know the Moon? Whether you love our natural neighbor in space for the lunar and solar eclipses it provides, or you simply decide to ‘pack it in’ from deep sky observing on the weeks bookending Full phase — per chance to catch up on image processing — the Moon has provided humanity with a fine crash course in Celestial Mechanics 101. Take the Moon’s path in the Fall of 2015 as a peculiar case in point. 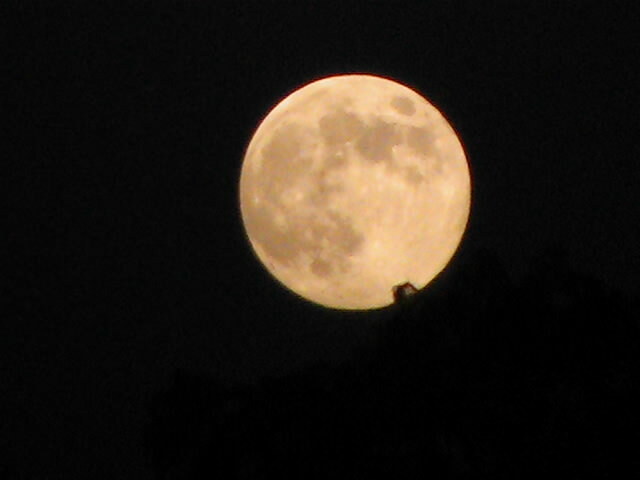 In fact, we’re nearing what’s known as a minor lunar standstill over the next lunation, the first of the 21st century. The term lunar standstill is kind of a misnomer. The Moon will continue in its orbit around the Earth like it always does. What’s interesting to note, however, is how shallow the apparent path of the Moon currently is with respect to the ecliptic this year. A technical lunar standstill – the point at which the Moon seems to reverse course from north to south and vice versa – occurs twice a lunation… but not all lunar standstills are created equal. The approximately five degree tilt of the Moon’s path around the Earth with respect to the path of the Earth around the Sun assures that the Moon can actually appear anywhere from 23.5 degrees (the tilt of the Earth’s axis with respect to the ecliptic) plus five degrees above or below the celestial equator, or 28.5 degrees declination north to south. Such a ‘hilly year’ happens once every 18.6 years, and last occurred in 2006, and won’t take place again until 2025. This orbital phenomenon also results in what’s known as a ‘long nights moon’ when the Full Moon nearest the winter solstice rides high in the sky near the spot the summer Sun occupied six months earlier, and will do so again six months hence. To quote Game of Thrones: “Winter is coming,” indeed. Such is the wacky orbit of the Moon. Unlike the majority of natural satellites in the solar system, the inclination of the Moon’s orbit is not fixed in relation to its host planet’s (in this case, the Earth’s) equator, but instead, to the plane of its path around the Sun, that imaginary line known as the ecliptic. Hence, we say the Moon’s path is either steep and ‘hilly’ near a major lunar standstill, or shallow and almost flat-lined, like this year. In between years are sometimes termed ‘ecliptic-like’ and happen between standstills once every 9.3 years. Why are the nodes of the ecliptic changing? The chief culprit is the gravitational pull of the Sun, which drags the nodes opposite in the Moon’s direction of travel once around full circle every 18.6 years. To confound things even more, the Moon’s line of apsides (the imaginary line bisecting its orbit from apogee to perigee) is moving in the opposite direction and completes one revolution every 8.85 years. This also means that the Moon can wander off the beaten trail of the zodiac constellations well worn by the classical planets. The Moon can actually transit 18 constellations: the 12 familiar zodiacal constellations, plus Orion, Ophiuchus, Sextans, Corvus, Auriga and Cetus. This, along with the 26,000 plus year precession of the equinoxes, also means that the stars the Moon can occult along its path are slowly changing as well. There’s lots of evidence to suggest that ancient astronomers knew something of the cycle of lunar standstills as well. The modern term comes from archaeologist Alexander Thom’s 1971 book Megalithic Lunar Observatories. There is evidence to suggest Bronze Age cultures in the United Kingdom took note of the changing path of the Moon. The famous ‘Sun dagger’ rock alignment of Fajada Butte in Chaco Canyon, New Mexico may have also doubled as a similar sort of calendar that not only marked the yearly solstices and equinoxes, but longer periods of the cycles of the Moon as well. Knowing the gear clock tick of the heavens gave cultures an edge, allowing them to predict when to sow, reap, hunt and prepare for the onset of winter. The 2015 minor lunar standstill also impacts this years’ Full Harvest Moon as well. Ordinarily on most years, the evening angle of the ecliptic versus the eastern horizon near the autumnal equinox conspires to make the Moon seem to ‘freeze’ in its nightly path, rising scant minutes later on successive evenings. This effect is most dramatic as seen from mid-northern latitudes in September on years around the major lunar standstill. As you can see, the minor lunar standstill of 2015 ameliorates the usual impact of the Harvest Moon… though we do have the final total lunar eclipse of 2015 to compensate. More on that to come next week!